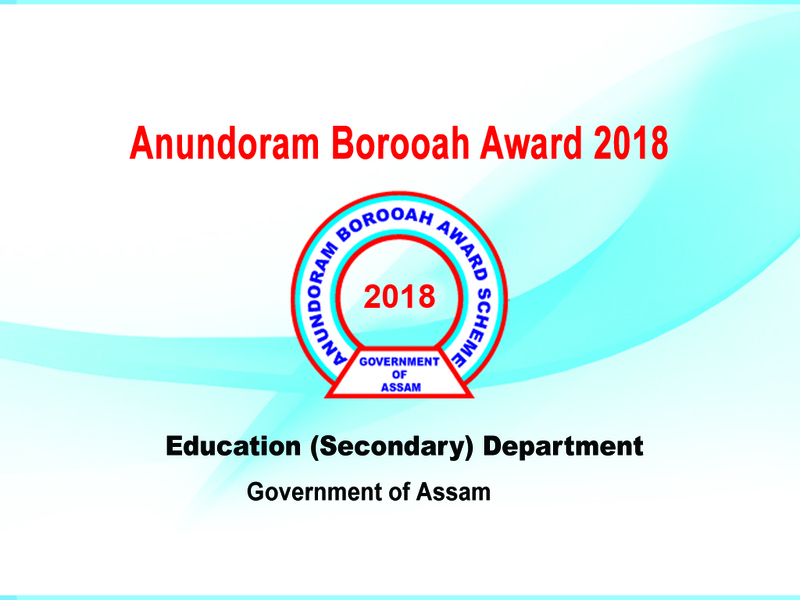 The central ceremonial distribution function for conferring the Anundoram Borooah Award 2018 shall be held on 8th February, 2019 at 12:00 Noon at Sarusajai Sports Complex, Guwahati. The students securing star marks and above in the High School Leaving Certificate Examination/ High Madrassa Examination/ F.M. 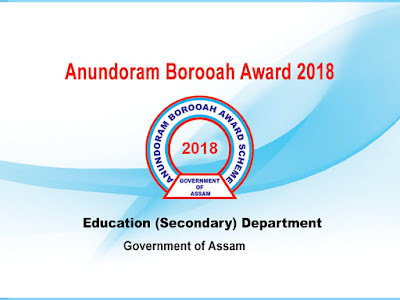 Examination and Sanskrit Pali & Pravesika Examination, Assam during the year 2018 are eligible for the Award. 1. Pass Certificate duly attested and counter signed by the Head of the Institution from which the applicant passed out in PDF file format. 2. A self attested passport size photograph of the applicant in JPG file format. Note: Those who have not registered till date must complete the online registration on or before 7th February, 2019. Register Online: Click Here .